Fall is the perfect to season to relax & let go, to shed what is no longer serving us, and call forth fresh creative energy. The sacred ground of Gray Bear is one of the most potent and safe places to do just that. It embraces each and everyone, allowing healing, restoration, & rejuvenation in mind, body, & soul. There will be more time this year to simply relax, get a massage or watsu treatment, lie in the hammock with a book, take a hike, or take a nap. 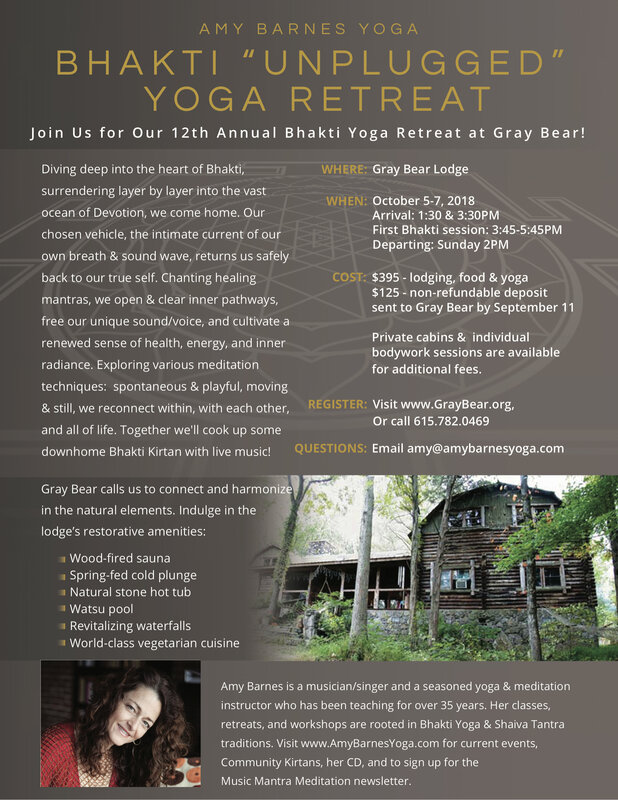 Gray Bear calls us to connect and harmonize in the natural elements; offering a wood fired sauna & spring fed cold plunge (soul shine! ), natural stone hot tub, watsu pool, revitalizing water falls, and world class vegetarian cuisine. Amy is a seasoned yoga instructor who has been practicing for more than 35 years and teaching for more than 30. She comes from a long line of yoginis and musicians. 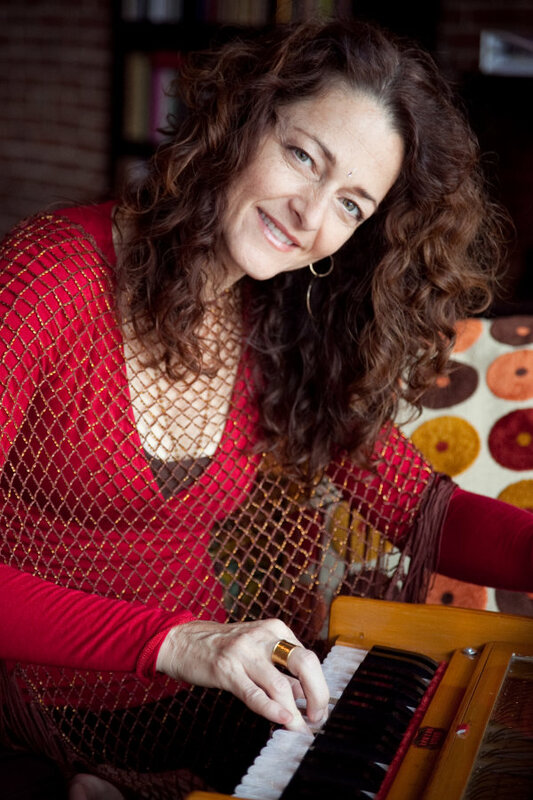 She teaches Bhakti & Vinyasa/Living yoga and leads ecstatic kirtan in Nashville and surrounding areas. www.amybarnesyoga.com. Any level of yoga student is welcome for this weekend. A perfect weekend for the first time/beginning yoga student or more ongoing student. Intermediate students will also find classes which will provide just the right amount of challenge. Workshop discounted at $395 if paid in full by Aug 31st. Space is consciously limited. To reserve your place please register by sending your $125 non-refundable deposit to: Gray Bear Lodge, PO Box 682, Hohenwald, TN 38462. Price includes tuition, lodging, meals and full use of facilities. Late registration fee increases to $435 with balance Sept 28th. Confirmation letter and additional information (including directions to Gray Bear) will be sent. Confirmation letter and additional information (including directions to Gray Bear) will be sent. Listed price is for shared occupancy in the main lodge (upgrades to private cabins are available; please inquire).